Hollybeary Creations : YNS August Release Sneaks!! Happy Saturday everyone... Who's ready for a peek at the August Release from Your Next Stamp? 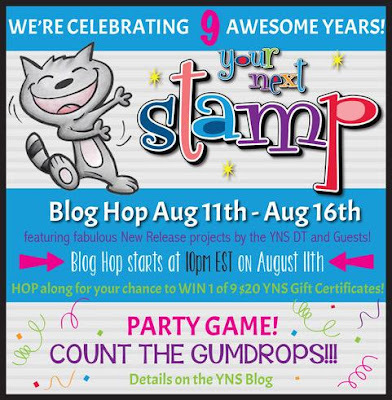 This is a special release because Your Next Stamp is turning 9 this year and we are having a party!!! 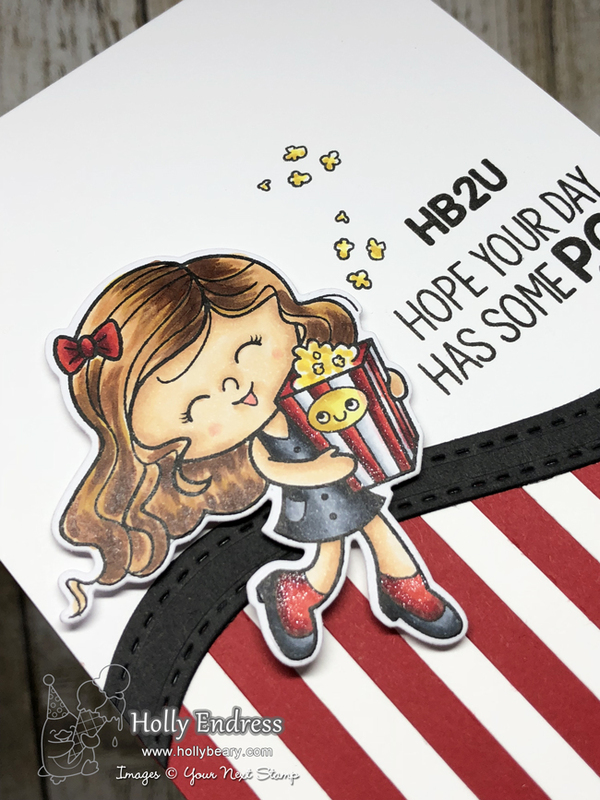 My sneak project shares the Adorable new Popcorn Party set and coordinating Die. I created the strips along the bottom with 1/4" pieces of White and Red cardstock and then I added the Black Border. I created the border with the Large Double Stitched Hills Die. Then I stamped the sentiment in the corner and added the popcorn cluster stamp. I colored the popcorn in with Copics. I stamped the girl onto some X-Press it Blending cardstock and colored her in with Copics. I used the coordinating dies to cut her out and then I added some Clear Wink of Stella to the Red images for a little sparkle!! So cute... This is such a fun set, it also has a cute pair of 3D glasses you can stamp or Die cut as well. 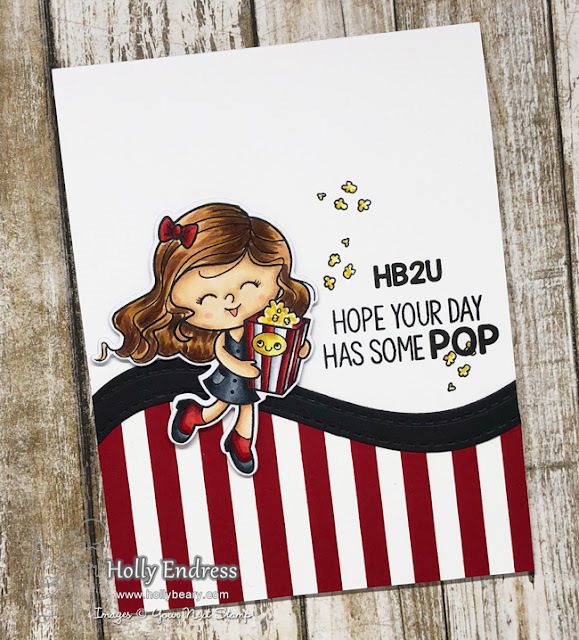 Head over to the Your Next Stamp blog for more sneaks at the New Release and be sure to join us tomorrow for the Blog Hop and a Big Sale!!! Super cute card M I love your bold stripes! What an Awesome Card Love the matching Stripes! Such a festive card with lovely colours. Thanks for the inspiration. Your card is really cute. I love this stamp set.